The Standing Stone: Carrowreagh, Rath, Co. Laois. Location – In the foothills of the Slieve Bloom Mountains, S of Arderin mountain and N of two nearby barrows. 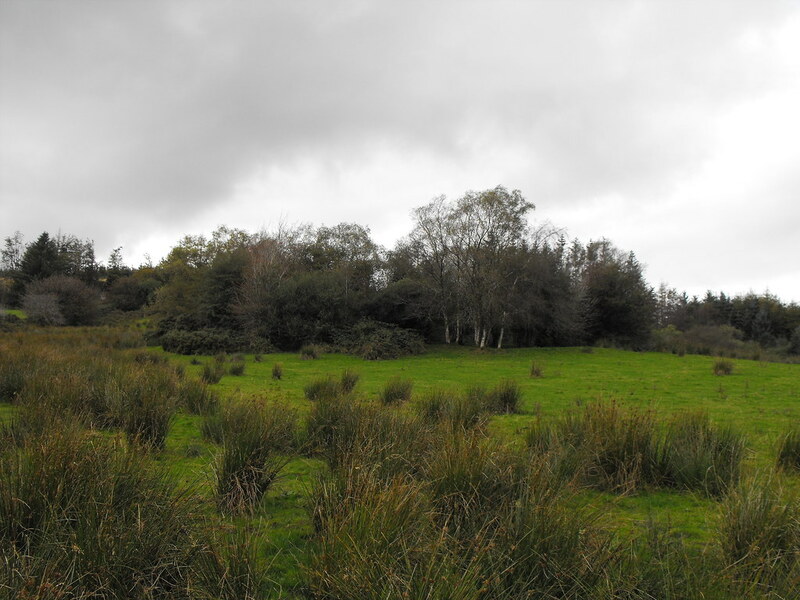 Description and History – This ringfort is quite nice and located on the rising slopes leading up the Slieve Bloom Mountains. If the trees nearby were cleared it would be visible from some distance. It is roughly 30m in diameter with bank (2.2m wide and 1.5m high) and fosse (1.8m wide and 1m high). Some stone has been used in the building of this rath. This maybe because of the marshy nature of the surrounding land. 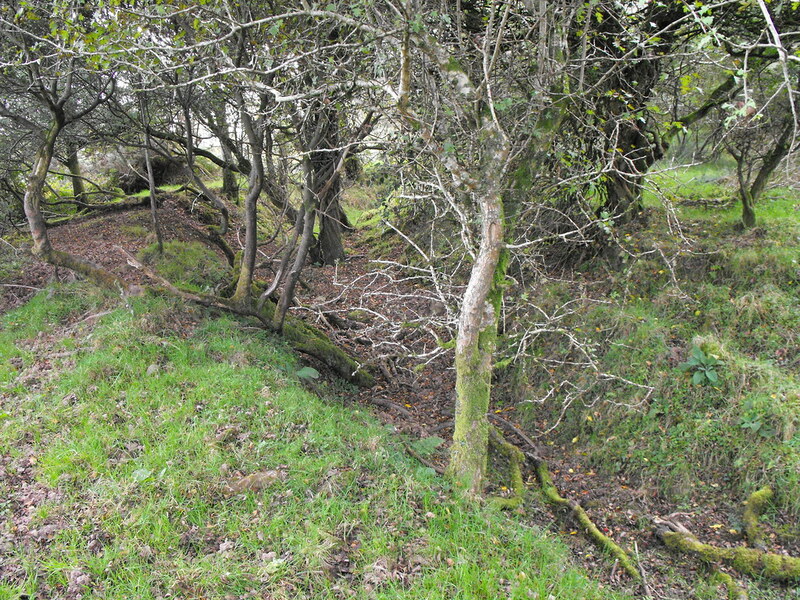 There is a causewayed entrance in the NNE of the site but it was too marshy and overgrown to reach. 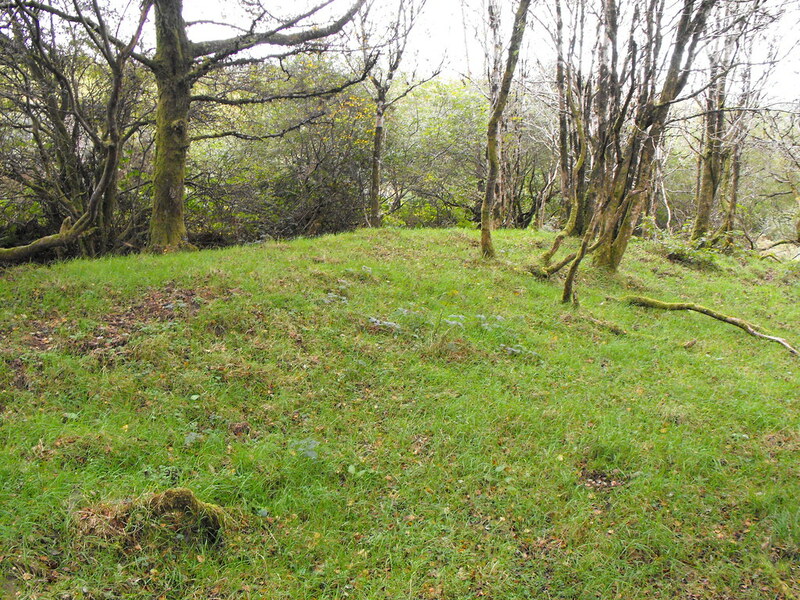 I was told by a local man that a king used to live in the rath and is buried in one of the nearby barrows. Difficulty – It’s signposted but it is a bit of an uphill walk. Quite overgrown as you can see. You can just make out the circular shape of it here. It is possible to get inside however. On the inside looking out. Note the rise of the bank. Close up of the ditch and fosse.